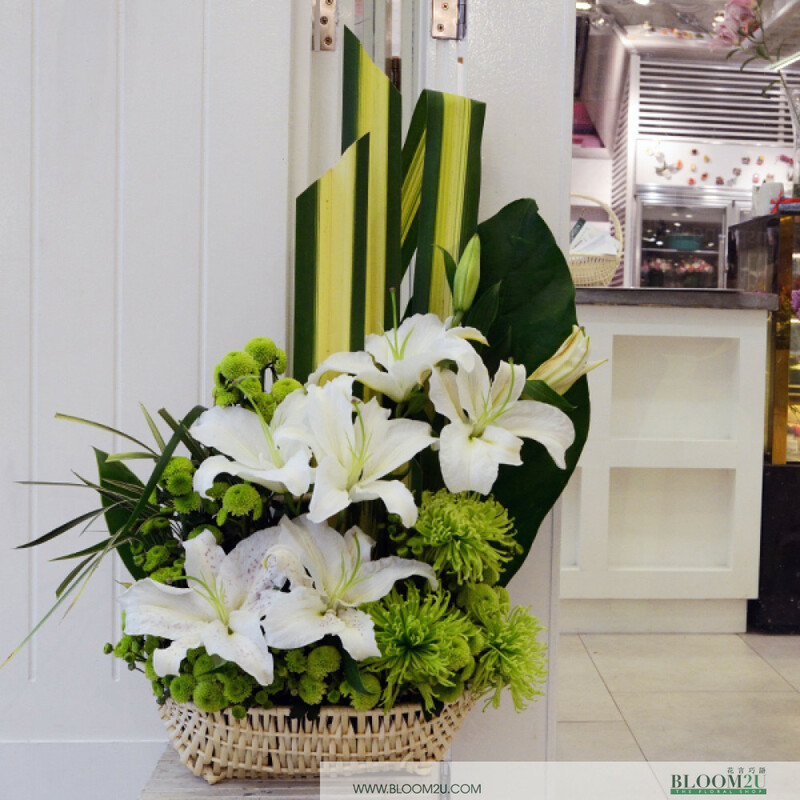 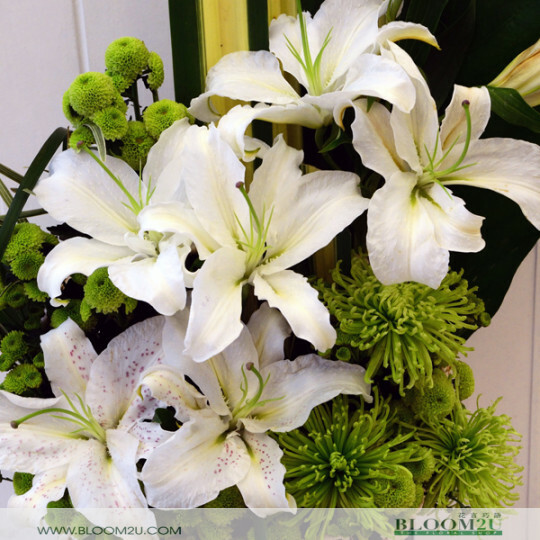 The flower basket arrangement consist of Lilies flowers, some green chrysanthemums and beautiful leaves. 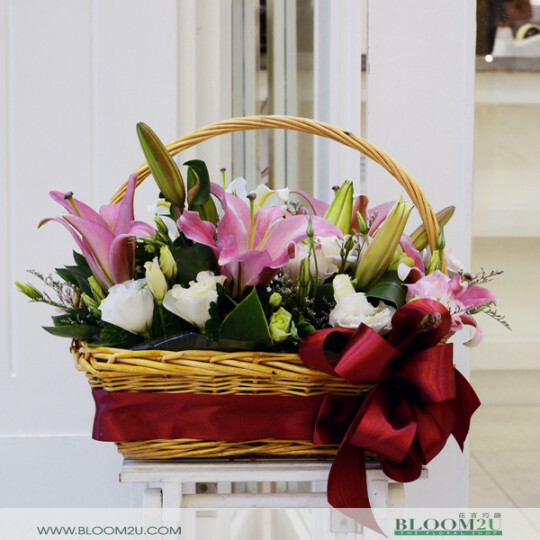 A very elegant arrangement that is suitable for any occasions from a celebrations of festive seasons to paying last respect for those who passed away. 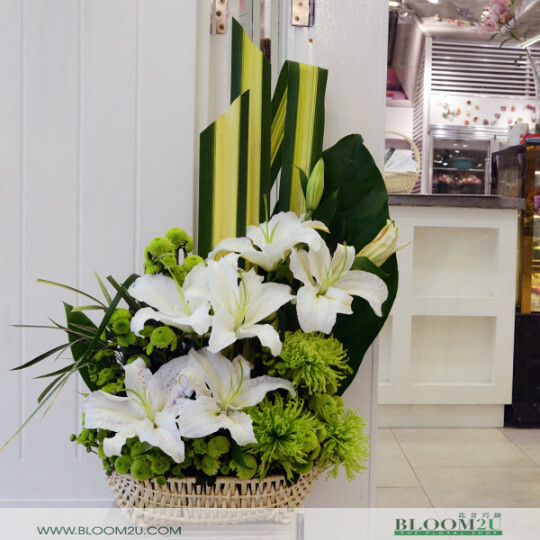 This was initially done for Pakistan Embassy for their national day celebrations. Green and white s the national colors for Pakistan.